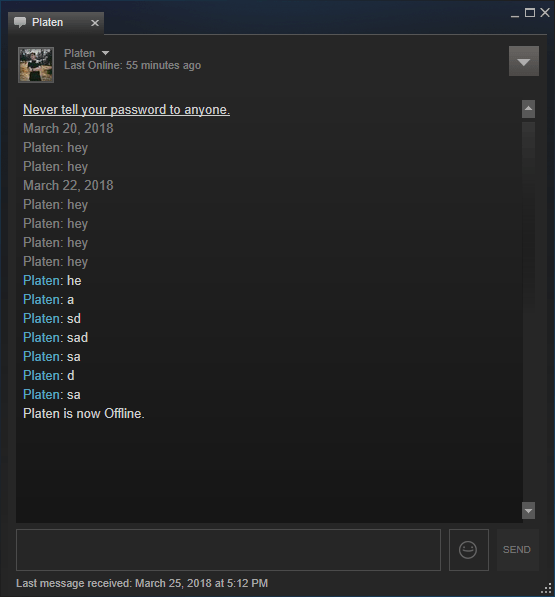 I have no idea who this person is, I may have played a CS:GO game with him and he added me, but I regularly get him bugging me. As much as I want to delete them, I find messages like this have enough entertainment value to make me chuckle so I keep him on my friends list. This entry was posted in Miscellaneous and tagged Chat, Steam. Bookmark the permalink. That’s what the pumpkin said!